Spring has sprung! I can’t wait to take Emma to the creek once the temps warm up just a bit. She loves to go creek stomping. She also loves flipping rocks to see what swims out from under them. When we lived in our old house, there was a pond in our neighborhood. We went there every spring to explore. She would skip rocks and watch the water bugs. We would search for tadpoles and dodge the mosquitos. I loved planning frog-themed studies around this time. We made paper plate frogs and frog puppets from brown bags. 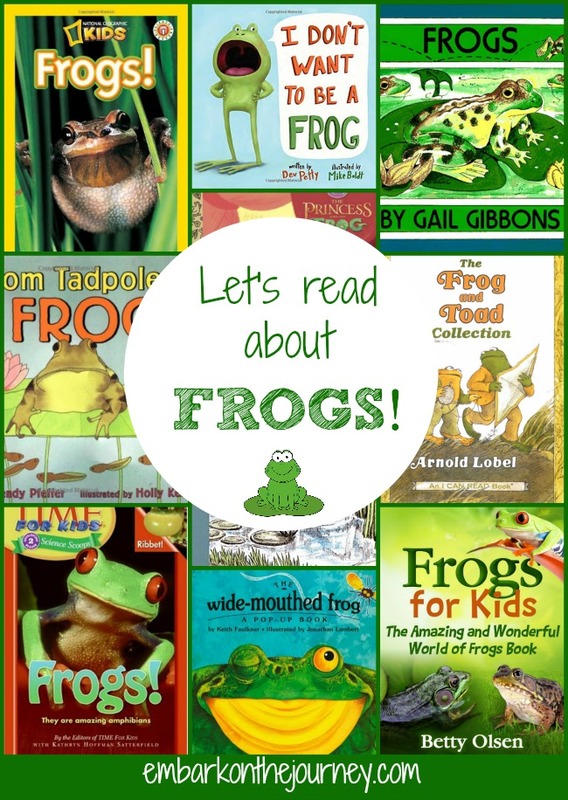 We read books about frogs and tadpoles, and we learned about their life cycle. 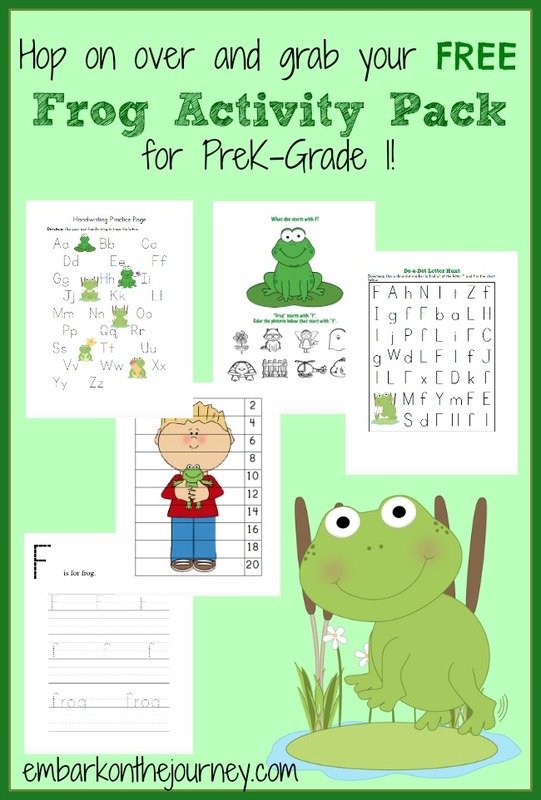 I’ve created a fun printable pack for your little learners with a frog theme. Let them practice their counting skills and ABCs with this fun freebie! This printable pack is free for my awesome readers! There is so much fun packed into this pack. Your kids will be occupied for hours! Please note that your link will expire in 72 hours, and it can only be downloaded twice. Be sure to download and save it once it arrives in your inbox. What a fabulous unit on frogs. I am definitely sharing this! I’m glad you like it! Thanks for sharing! Thank you for the printable! My little guy is struggling a bit and I have been looking for some additional help. This will be fun for him! Oh yay! I’m so glad these activity pages will help your little guy!